Is your employer taking advantage of you? Have they refused to pay you proper wages, or earned overtime? We are ready to help. Our experienced attorneys can resolve many case out of court. We will stick up for your rights, demand proper compensation for all worked hours, and recover our fees from the employer. You pay nothing upfront to our firm! Employers are required to pay 1.5 times your normal wage if you work over 40 hours in one week. There are few exceptions. For most employees, the employer cannot come up with elaborate schemes to avoid paying overtime. The law in Florida and also in Federal Courts gives employees a right to enforce their overtime rights. There is no reason for you to be taken advantage of. Our team can recover unpaid overtime and vindicate your rights as a worker. It is a little-known fact that employees must be paid overtime if they perform any after-hours duties. If you are required to accept calls, carry around a special work phone, check work email, or do absolutely anything after hours – you may be entitled to overtime compensation for your work. Many employers are ignorant of the law requiring compensation. The bottom line – if any job duties required by your employer push you past the 40-hour mark – they must pay overtime. That includes minor duties performed after hours or on the weekend. Another little-known fact – mandatory social events must be compensated at regular pay. This is the most abused classification that some employers use to get around wage and hour laws. There are legal tests for whether a certain type of employee can ever be considered an independent contractor. Most employees called independent contractors are done so improperly and against legal guidelines. If you have been designated as an independent contractor – you my be headed for serious tax consequences by the IRS. Our experienced legal team can help. Many times we can hold the employer responsible for improper classification and then we can recover money for you. Our overtime attorneys in Tampa deal with these cases every day. Not only this, they also have extensive training in the area of wage and hour law, providing you with insight even the most in-depth research can’t provide to you. Working with an experienced attorney will ensure you approach your case in the best possible manner so you can obtain the outcome you desire. When you and your employer can’t agree on proper compensation for extra hours worked it will most likely go before a judge to make a determination. If you have a qualified Tampa wage and hour attorney on your side, he or she will be able to fight for what you deserve so you don’t settle for less than what you are entitled to. Hiring your own attorney will protect your rights. Our Tampa office is conveniently located in the Hyde Park area, part of South Tampa. We are just several minutes away from the Tampa courthouse. 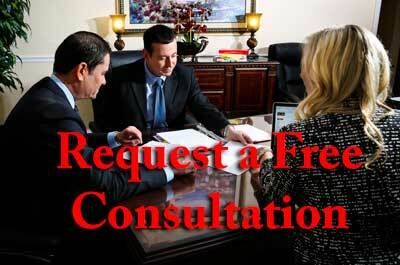 Consultations are always free. Visit us today to get a free analysis of your case.